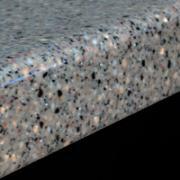 A tapered edge, the bottom rounds and curves under. 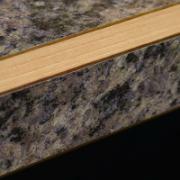 This is a premium edge that is available only for the High-Definition colors. 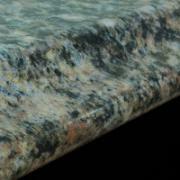 It is very beautiful and mimics the look of stone. 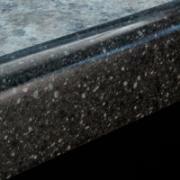 A premium edge as well, this is very similar to the Valencia. 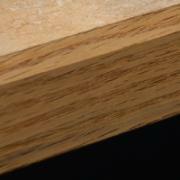 Rather than curving under to finish smoothly, the taper is shorter and comes to sharp finish. 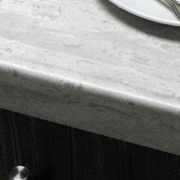 A steeper, curved edge, the Geneva is rounded on the bottom like the Valencia. 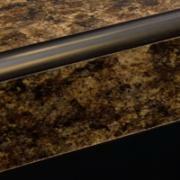 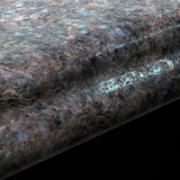 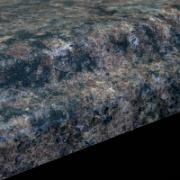 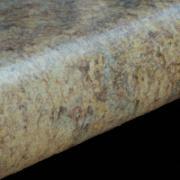 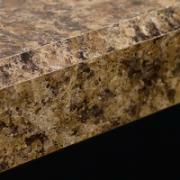 This is another premium edge available only in High Definition laminate, which imitates the look of granite. 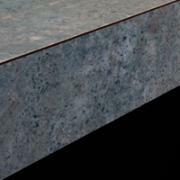 A tight top rolled edge gives the Marbella a contempory look with all the benefits of a rolled edge. 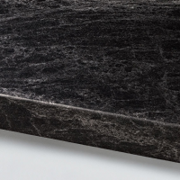 The Ora is just like the Marbella but the Ora also has the same tight rolled edge on the bottom of the edge profile.